Whether you’re planning a birthday barbeque for dozens, a lazy afternoon brunch or an intimate dinner with a few special friends, our Top 10 Trex decks will inspire you to entertain with style and ease. Get ready to toast togetherness. 10. Good Day. Trex Transcend® decking in Island Mist. Perth, Australia. 9. Southern Supper. Trex Transcend decking in Spiced Rum. Featuring Trex® Outdoor Furniture™ and Trex® Pergola™. Ashburn, Virginia. 8. Next-Level Style. Trex Transcend decking in Tiki Torch and Lava Rock. Middleburg, Virginia. 6. Above The Boulevard. Trex Transcend decking in Island Mist. Hollywood, California. 5. Movie Night. Trex Transcend decking in Havana Gold. Leesburg, Virginia. 4. Stunning Retreat. Trex Transcend decking in Tiki Torch and Lava Rock. Shoreline, Washington. 3. Night Swim. Trex Transcend decking in Rope Swing and Spiced Rum. Toronto, Canada. 2. Gather ‘Round. Trex Transcend decking in Rope Swing and Spiced Rum. 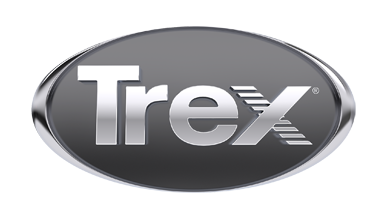 Featuring Trex® Outdoor Furniture™. Cleveland, Ohio. 1. Crowd Pleaser. Trex Enhance decking in Saddle. Featuring Transcend Railing. Lake Norman, North Carolina.